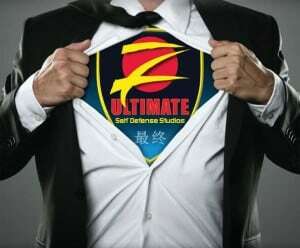 At Z-Ultimate, we fit the martial arts style to you instead of trying to make everyone fit into the same mold. With our Dynamic Mastery Method™ of instruction, you will develop at your own pace in the most efficient and effective methodology of teaching available, all custom-tailored to your age, ability and body style. Many of us with Z-Ultimate are parents ourselves and we send our own children to train at Z-Ultimate. (Although we do not have parents teaching their own children.) We even have a father-son team – Masters David and Ryan Lloyd – that are instructors, teaching at a dojo together. We trust Z-Ultimate with our own children and are honored that others do, too. When you become a member with Z-Ultimate, you become a part of a family with thousands of martial artists from across the United States. Dojos are what we call our training facilities. Z-Ultimate prides itself on having safe, clean facilities filled with happy, forward-thinking, positive, family oriented students. Many martial arts schools smell like martial arts schools and sometimes are filled with people who are out to prove something. People with “Tough Guy” attitudes and that kind of energy are not welcome – or tolerated – at Z-Ultimate. We provide an environment where people feel safe and trust their instructors and training partners. Ultimate Kenpo combines the best of all four ranges of combat – kicking, punching, trapping and grappling – into one system of self defense, designed to give you the ability to protect yourself in almost any self defense situation. This requires you to become proficient in moving your body from a variety of positions and angles, both on your feet or on the ground; having the ability to explosively change directions, stay balanced and exert one hundred percent effort for short bursts. Just developing the techniques in Ultimate Kenpo alone increases your conditioning levels, burns fat, builds solid muscle tissue, increases your flexibility and improves your heart health – without having to do anything else other than train in the dojo. There is not another activity or sport that contains all the benefits for men, women and children than our program of self defense classes. The Board of Masters – along with Senior Instructor and 10th Degree Black Belt, Grandmaster Paul Taylor – have a combined 170 years experience training and teaching the martial arts. Their combined knowledge and wisdom is passed down to every dojo with Z-Ultimate. Your instructor will constantly be upgrading and updating his martial arts training to make sure the level of instruction and depth of knowledge for each student is at a world-class level. Once you are a member of one Z-Ultimate location, you are a member of all of them. You may transfer, travel or train at any Z-Ultimate location for as long as you are an active member. Your membership is also for life; meaning, if you stop training for any reason and then wish to start again, there are no extra fees, re-enrollment or anything else. Simply show up at any Z-Ultimate location and re-enroll in their program. Many martial arts schools choose to focus on one aspect of martial arts training. Some choose to focus on competition, structuring and teaching their program in a way that revolves around competing in tournaments nationally and internationally. Some schools focus only on what is referred to as, “Reality-based” martial arts, where it is solely about survival of a violent encounter. Others choose to focus on only the historical or classical aspects of their martial art. With Z-Ultimate, we believe all of those philosophies are valuable and important, which is why we developed the Classical – Practical – Tactical approach for our students. We train students to appreciate and develop their martial arts skills in all three aspects of the martial arts, and in all four combat ranges, allowing the student to be competent in self defense, competitions or the classical aspect of the martial arts. Z-Ultimate founded the Z-Ultimate University of Martial Arts Professionals (ZUUMAP) to create an opportunity for students who wish to help others and spread Ultimate Kenpo across the globe to learn how to become an Instructor/Sensei. The ZUUMAP program trains students of Z-Ultimate year-round in a rotating curriculum where students can be certified as Black Belt Undergraduates (assistant coaches) or Black Belt Instructors. These instructors’ duties vary from helping guide someone while training together, to helping run classes as needed, to part-time or full-time instructing duties. By having the ZUUMAP program, you have the peace of mind that there will always be qualified instructors to take care of you, your family and your dojo. Many martial arts styles, systems and companies are unfortunately stuck in the past. Meaning, they do the same things the same way they have done for years and never look to see if there is a better, more efficient or more effective way to do something. To be clear, almost all new “breakthroughs” in any arena are usually just variations on something that already exists, like the explosion of Mixed Martial Arts. MMA is not new; it is just multiple disciplines of martial arts, combined into one setting with rules and weight classes. While it is “new” as far as a sport, there is nothing “new” about any of the martial arts that are featured and included in MMA. While the roots of Ultimate Kenpo are rumored to go back thousands of years, and we are very proud of our Classical roots, Z-Ultimate also recognizes that no one style or approach of martial arts is perfect. Z-Ultimate believes and practices the philosophy of, “Keep what is useful and discard the rest.” Z-Ultimate is constantly evaluating every aspect of our techniques and training, always looking to refine them, add to them, subtract what may not be as effective and grow our martial arts style. With Z-Ultimate, you will always be on the leading edge of martial arts technique and performance. Don’t take our word for it – fill out the form below and register for a Free 30 Day Test Drive, No Cost, No Obligation. You will get one month of both private and group training to see for yourself what the martial arts can do for you and your family.